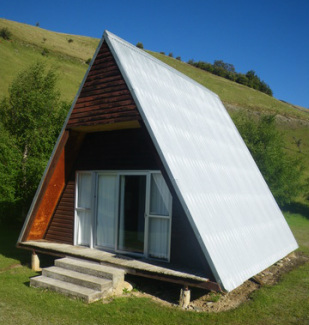 Ben Lomond lodge sleeps up to 40 people in twin share rooms across 5 A-framed chalets and a dorm room. With a huge lawn, large outdoor wood fired BBQ, pool table, bar and lounge it is a fantastic place for a work function. Your hosts are John and Ginny Foster who have been hosting groups at Ben Lomond Lodge for the past 19 years....during your stay they will enlighten you about the history of the station and super fine-woolled merino sheep farming. Large lawn - perfect for a game of cricket. Outside dining with a woodfire bbq. In the main building there is a large dining room with fireplace and a lounge with pool table. There are hot showers and toilets in the main building adjacent to the dining and lounge room. We can provide private exclusive use for groups of up to 35 at Ben Lomond Lodge. The lodge can be accessed by foot, mountain bike, 4WD or helicopter. An epic view and experience! Thank you so much for your hospitality!! Amazing 'get away' place...we will be back. Thank you so much for the friendly hospitality, great food and just the most amazing time. It's been absolutely wonderful to stay here and we hope to come back again! Thank you for this unique farm experience and warm hospitality. Lunch can be provided if required. 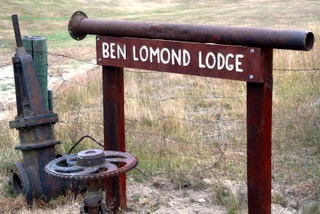 Ben Lomond Lodge operates from mid September to the end of April. Do you have a large group or do you want to stay for several nights? Please contact us to discuss or call Ginny on 0274 363 806. A 25 % deposit is required to confirm your booking (this deposit is non-refundable). The balance of the tariff is to be paid 10 working days before arrival. All prices are in NZD and include GST. Child Policy – Children are welcome and we may offer reduced rates. Ben Lomond Journeys reserve the right to change, amend or cancel trips due to weather or any other unforeseen circumstance. In the event of such cancellation, a full refund or alternative dates will be offered.